Brand director claims a luxury SUV to sit below the compact Evoque is a distinct possibility. 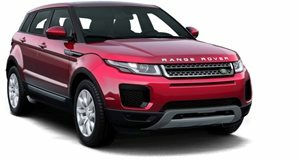 Having sold over 90,000 units of the Evoque since its launch last year, Land Rover&apos;s most compact Range Rover has been an undisputed success story. In fact, according to data from JATO Dynamics, in the first half of this year, European sales of the three- and five-door SUVs came to 27,685 units, which is almost equal to the combined sales of the rest of the Land Rover lineup (29,891). In order to cope with this demand JLR&apos;s Halewood plant is working around the clock for the first time in its history. To build on the Evoque&apos;s success, Land Rover is mulling a luxury SUV that would sit below the compact Evoque. That&apos;s according to the brand&apos;s design director Gerry McGovern who, when asked about future plans for the Range Rover line, told Automotive News: "Certainly, I think we can go smaller. In a world focusing on sustainability you could argue that smaller and lighter is the way to go." Audi is also considering adding a subcompact premium SUV to its lineup, with design boss Stefan Sielaff supposedly keen on a Q1 (based on the A1) to sit snuggly beneath the Q3. BMW is already branching into that market with the X1, and others seem keen to follow.